The WSOP Main Event drew 7,221 entrants this year, a big boost from a year ago and actually the third-largest field ever behind the pre-UIGEA 2006 Main (8,773) and the last pre-Black Friday one in 2010 (7,319). They’re down to a final table now, with the two-day respite before that gets going very welcome to those of us who've been at this for 10 days running. You’re no doubt following the action in the usual places, as well as on both ESPN and PokerGO (a very welcome addition to the coverage, imo). Just to report quickly here on a few off-the-beaten path items, the WSOP Media Event happened back on Tuesday. Close to 100 played, I think, and your humble scribbler made it to the last 20 or so before finally busting a short stack. “Thanks to all my backers,” I tweeted, forgetting to add the obligatory “AQ<QJ” afterwards. (The Media Event is a freeroll). A few days after that Howard Swains and I felt uptight on a Saturday night and so spent part of the dinner break walking over to the other side of the Rio All-Suite Hotel and Casino to enjoy a round of KISS Mini Golf. 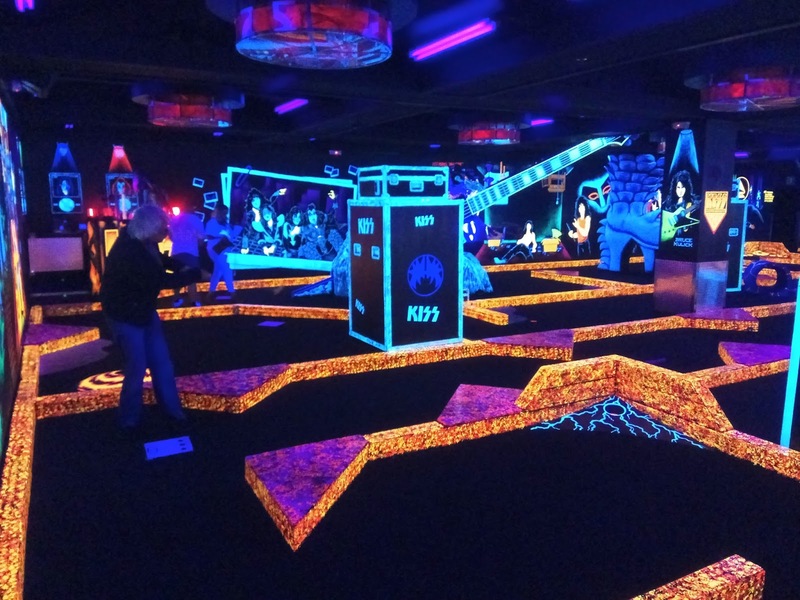 Was a fun 45 minutes or so knocking golf balls around the course replete with cool black lights and glow-in-the-dark decor full of all sorts of KISS imagery, with the tunes blasting the whole way (natch). Click that pic above for a bigger image. Imagine “Calling Dr. Love” pounding through your device’s speakers as you do. Novel News -- Obsessica eBook is out! Am all settled at the Rio where the first couple of Day 1 flights of the World Series of Poker Main Event have already played out. Already had some fun interviews and other items of interest -- will report soon. 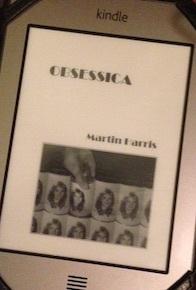 Just a quick note to share that the eBook version of Obsessica is now available! It’s good for the Kindle and other devices. Those who buy a print version of the novel should also get access to the Kindle version for free, or so I understand it. I was writing here not too long ago about how I still can’t quite think of “novels” as being something other than those physical objects with hard or soft covers and words printed on pages that we hold and look at for a few hours or days or weeks. I know to say such things is to sound irrational (or just plain stubborn). It’s a silly thing to insist upon, something belonging in the category of useless complaints about how the present ain’t the past. As I’ve mentioned before, Obsessica is a book set in the past -- an adult narrator looks back on something that happened when he was a kid in 1980 -- and so kind of exemplifies that same desire to go back and experience that time and all of the “old” things that marked it. There’s even some talk about books in there, despite the fact that the narrator makes a point to say early on that he isn’t much of a reader (or writer, for that matter). The House of the Baskervilles and the Guinness Book of World Records turn out to be two important books, and also are meant to serve as extra-textual “secondary” sources for the novel, in a way, that point to certain themes. 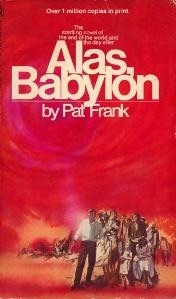 Like I say, though, I’m fully aware that nostalgia for books is a kind of folly. And of the irony of my indulging in it while writing on a blog, and spending just about every other waking moment writing for online-only outlets. Anyhow, you e-reader types -- go check out my novel. I’ve heard it’s kind of a page-turner. Or screen-scroller. This morning I was trying to calculate just how many days I’ve been in Las Vegas before. It’s probably the one place where I’ve lived the most without having actually moved there. Going off to college or grad school doesn’t count, as those were genuine “moves” wherein I was more or less living full-time somewhere new. Nor does that year Vera and I spent living in France, even though we knew all along that was a temporary thing. I spent six summers total reporting on the World Series of Poker (from 2008-2013). The first three I was there the entire way, meaning stays of about seven-and-a-half weeks. The latter three times I only went for four weeks. Add to that other visits here and there, and it probably adds up to 10 months or so living in hotel rooms and apartments in Sin City. Feels like a lot, although I have friends and colleagues who have spent a lot more of their lives in Vegas while actually living elsewhere. And some who started out going there for a few weeks at at time, then moved there permanently. In any case, the time I’ve spent in Vegas has been more than enough to make coming back here today seem a bit like some kind of faux homecoming. So many familiar sights and sounds. I’m staying in the Rio this time, too, and already I’m realizing I long ago memorized many of the details of the place. Have already made that long walk through the casino, down the halls and past the Penn & Teller, down to the ballrooms where everything is still full blast as the last prelims play out and they ready for the Main to start tomorrow. I’ll be here 16 nights altogether to help report on this year’s WSOP Main Event. More features and interviews and “color” this time than in the past when it was mostly all about hand reports and chip counts for your humble scribbler. A couple more differences from past summers -- I won’t be updating here everyday along the way, although I will try to check in occasionally. And with the November Nine having been jettisoned (finally), I’ll finally see the sucker through to the end. Best part of this whole trip is getting to reunite with many friends, a lot of whom I’ve worked with or alongside before, and most of whom I’ve only been interacting online since my last Vegas trip. A lot of been-there-done-that feel, then, but a lot to look forward to as well. Image: “Las Vegas: Welcome to Vegas” (adapted), WriterGal39. 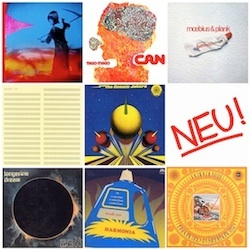 CC BY-ND 2.0. Busy times here on the farm. Getting hotter, with the daily afternoon storms not doing a whole lot to cool things down. 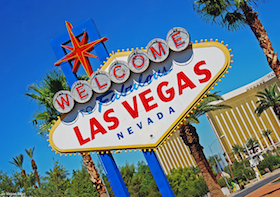 My trip westward to the World Series of Poker is fast approaching, as I leave on Friday. I’m looking forward to getting back to Las Vegas -- it has been four whole years since my last trip there. Doesn’t seem nearly so long, though, probably because I previously spent so much time in the Nevada desert so many summers in a row. Indeed, it’s become out of the ordinary for me to take poker trips within the U.S., as most of my tourney journeys over recent years have been to Central and South America or Europe. That trip to New Jersey last fall for the first PokerStars Championship Festival was the first U.S. trip for me since late 2014 when I went to Florida. Meanwhile I did want to let you know an eBook version of Obsessica is close to being available -- just a few more small things to take care of before it is ready to go. Was kind of a similar deal with Same Difference (my first novel), for which the ebook didn’t appear until well after the hard copy was first published. 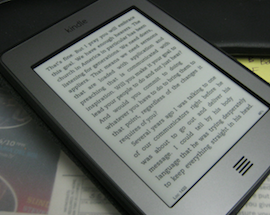 I still can’t quite embrace the idea of reading books on the Kindle or some other device. Obsessica is a book featuring a 12-year-old protagonist -- it isn’t quite “YA” fiction, I’d say, although I imagine younger readers might enjoy it. 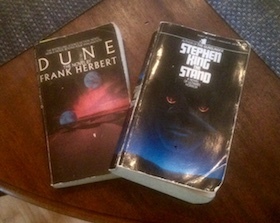 The story got me thinking about books I enjoyed as a teen, and after going down that road a while I decided I wanted to reread a couple of them -- Dune by Frank Herbert and The Stand by Stephen King -- both books I first read when I was around 13-14 or so. I no longer had my copies of those two, and so went online to order new ones. I didn’t want Kindle versions, though, nor did I even want updated editions. I wanted the exact same paperbacks I’d read before, and so after hunting a little I was able to order exactly those. Now there’s some sort of minor psychological tic in there somewhere that might be mildly interesting to explore, something related to the compulsion to repeat and/or a desire to go back and experience again something from one’s childhood. 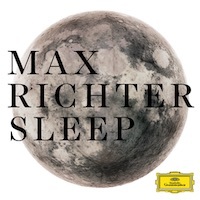 But in the present context I’m more intrigued by the mental block I have regarding electronic versions of books, one that prevents me from feeling as though I’ve “really” read a novel if I read it on my Kindle or as a .pdf or listened to an audiobook version of it. For me the physical book is the thing, which is why (I suppose) I continue to think of the eBook version of my own novels as somehow secondary, even if I know many (most?) readers think differently. Blogs are different, of course. Not books. Even the ones that go on and on for thousands of posts and hundreds of thousands of words. Curious about Obsessica? 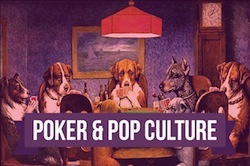 (Fair warning -- there’s no poker in it.) Find the hard copy here, and stay tuned for that eBook (coming soon). Image: “Kindle Touch” (adapted), Luke Jones. CC BY 2.0.